A Slovak and Czech co-production – like many of this year’s CaSFFA offerings – the festival theme of ‘Neighbours’ takes a dark but important turn in Slovakian director and actor Tereza Nvotová’s startling debut feature Špina. Translated into English as Filthy, this remarkable if harrowing movie goes to the dark heart of male violence against women and the damaging impact of societally enforced shame. Emerging star Dominika Morávková-Zeleníková delivers a bravura performance as Lena, a confident 17-year-old only beginning to explore the boundaries of adulthood, pushing against parental control in strobe-lit clubs. These nocturnal escapes are contrasted sharply with the mundane beige of home life, though even here there is the spectre of male violence in the angry railing against physical disability of her frustrated brother Bohdan (Patrik Holubář). And yet, it is not in some dark corner of a pulsing club or poorly lit back alley that Lena is viciously attacked. Instead she is sexually assaulted in her own bedroom by the much-loved schoolteacher, Roberto (Róbert Jakab), who is not only tutoring her after-hours in maths, but also physically training Bohdan. It is a terrible but true fact that most women subjected to male violence will know the perpetrator. This horrifying abuse of intimacy is exacerbated by this brutality occurring at home while Bohdan and Lena’s mother (Anna Šišková) argue with each other, oblivious, outside. Deeply in shock, the fact that Bohdan almost hero-worships Roberto and both her mother and her best friend Róza (Anna Rakovská) openly find him attractive only serves to further isolate Lena, providing her with no emotional harbour as she retreats even further. Internalising her pain, Lena suffers considerably in silence while all those around her fail to pay much heed to her very obvious collapse. That her eventual breakdown comes during a fraught birthday party for Bohdan only serves to underline the patriarchal forces at play here. A subsequent trip to a mental institution that’s more akin to a psychological horror house further highlights the societal failure in an uncaring system unwilling to give female victims the benefit of the doubt and ready to shock them, quite literally, into silence. It is telling that some of the non-professional actors involved in these traumatic scenes are former patients of similarly challenging institutions, and they are to be commended for their naturalistic performances that stitch perfectly with those of the professionals here. Written with Barbora Námerová, Nvotová pulls no punches with her staggering feature film debut, and yet even in the face of difficult material, Filthy is grounded in humanity, due in no small part to the brilliant performance of Morávková-Zeleníková, immediately marking herself out as one to watch closely. The Slovak actor does so much of the heavy lifting in the strained but unspoken anguish that ripples across her too-young face. Even as the heightened drama of emotional and physical violence erupts around her, Morávková-Zeleníková brings a solidity that the audience can cling to. Cinematographer Marek Dvořák ably aids her, casting light into the darkest places. The oft discussed distinction between what some would term victim and others survivor is important here, with Nvotová, Dvořák and, most importantly, Morávková-Zeleníková illuminating the shards of hope amidst the fractures. Complex and confronting films like Filthy are vitally important, if too rarely seen in mainstream cinemas. In showcasing Nvotová’s debut feature, the necessity of platforms like CaSFFA becomes all too clear, and thank goodness for it, because half the battle with male violence against women is the stigma and collapse of support that silences far too many. 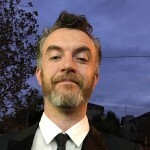 Stephen A Russell is a freelance arts journalist with a passion for film whose work can be found care of Fairfax and SBS, The New Daily, The Music and The Lowdown Under, among other reputable sources of cultural criticism. You can also hear his dulcet Scottish brogue and wayward snorts courtesy of Joy 94.9, Radio National and Noosa FM.